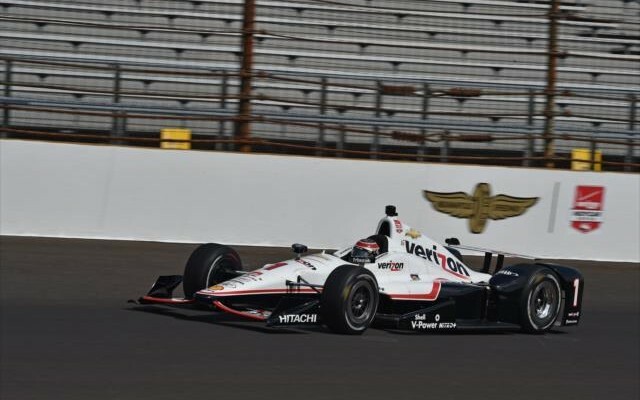 After limited running on Saturday morning, it appears that Team Penske is the favorite to claim the Verizon P1 Award for next Sunday’s Indianapolis 500-mile race, and could possibly threaten to sweep the entire front row at Indy for the first time since 1988. Helio Castroneves, who has won the pole at the Indianapolis Motor Speedway four times was fastestoverall in the session at 233.474 MPH, however two of his teammates Simon Pagenaud and Will Power were able to run near 232 MPH without the aid of a draft that boosted the lap posted by the Brazilian. Power managed to fire off a 231.9 MPH pass unaided, with Pagenaud right behind him at 231.4. The driver of the No. 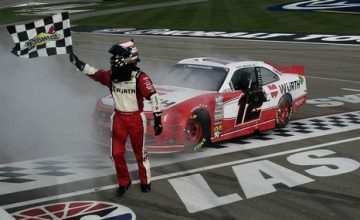 22 Avaya Chevrolet posted the best lap on Fast Friday at 231. 6. 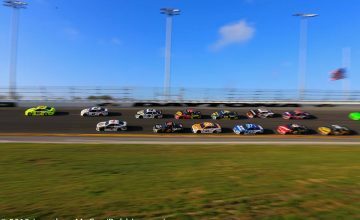 There are several candidates though behind Roger Penske’s quartet who could yet sneak into the fast nine however, and remain eligible to compete for the pole position on Sunday. The best bet appears to be Chip Ganassi Racing, who saw all five of their entries post a lap above or near the 230 MPH mark in the session, which was cut short by rain. Scott Dixon was the fastest of the quintet at 231.640, with Tony Kanaan posting the best lap without a draft at 230.4. After being outclassed for the most part this week at the 2.5 mile oval, outside of Carlos Munoz’s 230 MPH lap posted Wednesday, Honda appears capable of challenging Chevrolet and placing at least one car in the fast nine. Andretti Autosport’s Ryan Hunter-Reay and Justin Wilson both posted one lap unaided at over 230 MPH, while with a draft rookie Gabby Chaves of Bryan Herta Autosport and James Hinchcliffe of Schmidt Peterson Motorsports were able to post speeds above 231. The question mark outside of the weather is whether CFH Racing’s Ed Carpenter can contend for a third consecutive pole position, something that has never been achieved in the history of the Indianapolis 500. Although teammate J.R. Hildebrand was second quick overall at 232.9 MPH, neither Hildebrand, Josef Newgarden, or Carpenter managed to record a solo 230 plus pass during the session. At this point, with practice cut short by rain, the concern is whether or not the precipitation will clear up to allow full qualifying this afternoon. At 11:30 a.m. eastern time, radar images indicated that there was a large batch of consistent rain extending from Indianapolis all the way south to Memphis, Tennessee. Unless there is a significant breakup or clearing, it could be a start and stop day from start to the close of the track at 6 p.m. this evening. At the time of posting, the projected start time for qualifying was planned for 12:25 p.m. eastern time. Stay tuned to the Rubbings Racing website and Twitter page for continued updates throughout the day.